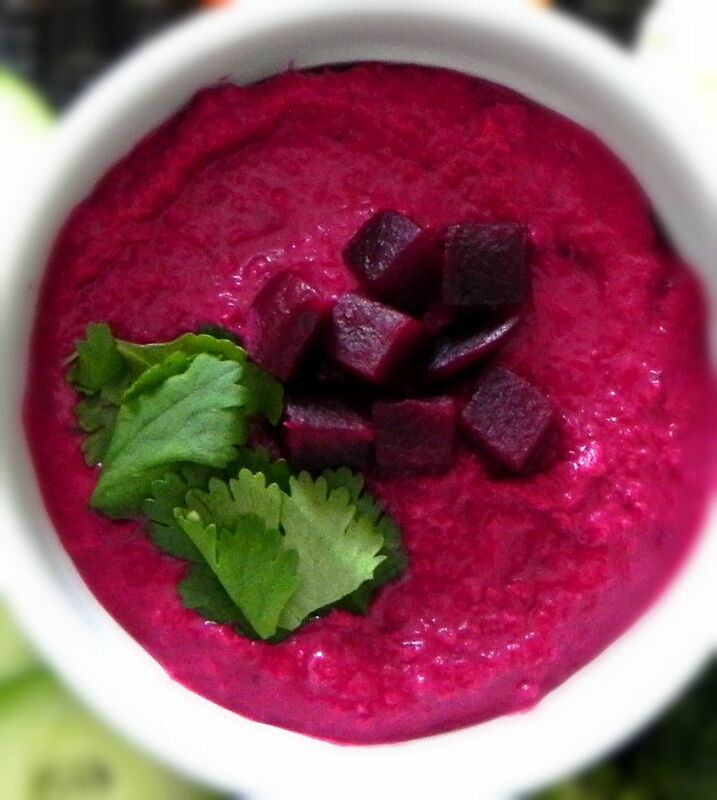 If you’re one of those people who have given beets numerous tries and still can’t seem to enjoy them, trust me when I say this beet hummus is just what you need to seal the deal. Its creamy, smooth texture combined with its earthy, garlicky, slightly sweet and tangy flavor makes it the perfect dip or spread for almost anything! Pair it with some fresh raw vegetables for a filling snack, spread it on your favorite bread to add the perfect tang to your sandwich, or serve it on some mini crostinis topped with fresh goat cheese and herbs to wow your guests at your next holiday party. The possibilities are endless! 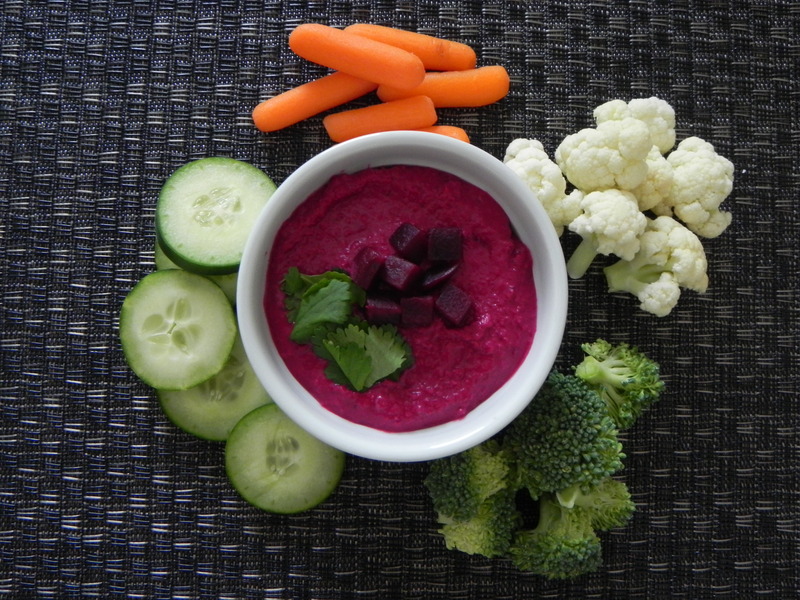 This dip is a mostly carbs and fat and is best enjoyed with a side of protein to make it balanced. Try spreading it on hard boiled eggs whites or baked tofu strips! Preheat oven to 375ºF. Wash beets well, wrap in foil, and place on a baking sheet. Bake for 35-40 minutes or until soft and able to be pierced with a fork. Remove skin off beets. *Note: I did this by placing my hand in a ziptop bag and using it as a glove to peel the skin off. Chop beets into small pieces and add to food processor. (Tip: Reserve a few pieces of beets for garnish if desired). Add remaining ingredients except olive oil and blend. When blended, slowly add olive oil until smooth and creamy.